Lyndsey Fry is a retired hockey player who played on Team USA during the 2014 Olympic Games in Sochi, Russia, where the team earned the silver medal. Lyndsey began her hockey career playing for the Chandler Polar Bears, where she twice earned team MVP honors (2004, 2006) and was a 4-time team captain. She began attending Corona del Sol High School, but decided to enroll in an online charter school in order to both complete her studies and continue her hockey career. 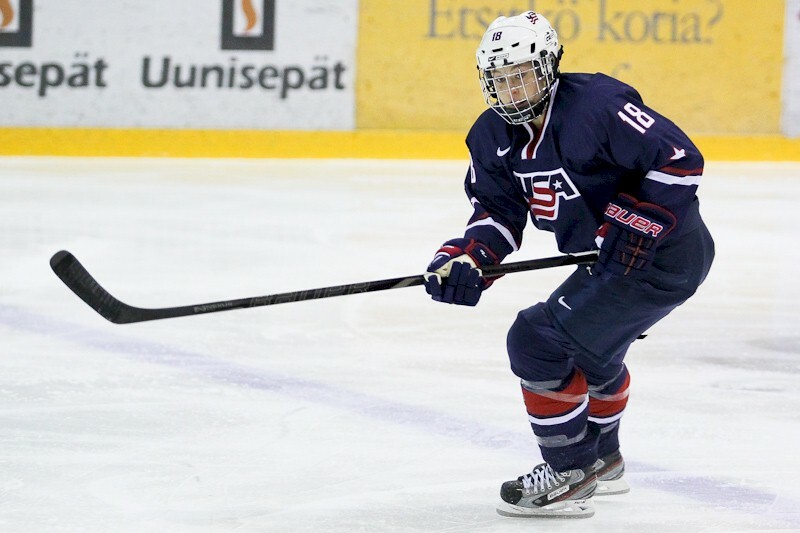 In 2008, she joined USA Hockey, playing on the U-16 AAA national team. During her time with the U-16s, the team won the bronze medal at the 2008 U-16 World Championships. 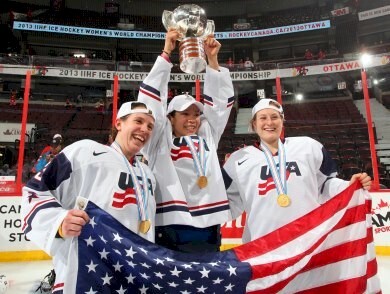 During this time, Lyndsey also won the USA Hockey National Championships Overall Sills Championship. One year later she joined the U-19 AAA USA Hockey team. In her two years on the squad, the team won the bronze medal in both the 2009 and 2010 World Championships. After such strong showings on the AAA teams, Lyndsey was called up to the U-18 USA National Team. In 2009, she helped the team to the U-18 World Championship gold medal, tallying 4 goals, 1 assist, and a +6 +/- rating in five games. The following year the team earned the silver medal at the U-18 World Championships, with Lyndsey recording 3 goals, 1 assist, and a +5. Lyndsey enrolled at Harvard University in 2010. As a freshman, she scored 6 goals, with 5 assists and a +10, leading all Harvard freshmen. After a solid freshman season, she had a breakout sophomore season. In her second year of collegiate competition, Lyndsey scored 22 goals with 20 assists. She earned 2nd Team All-Ivy League and 3rd Team All-ECAC honors. The following year, Lyndsey's junior, was every bit as successful, with 16 goals, 20 assists, and more All-Ivy and All-ECAC awards. Her collegiate success, coupled with strong showings for the U-18 National Team, earned Lyndsey a call-up to Team USA in 2012. She scored her first career national team goal in a 2012 Four Nations Cup game against Finland. She finished that tournament with 1 goal and 2 assists. 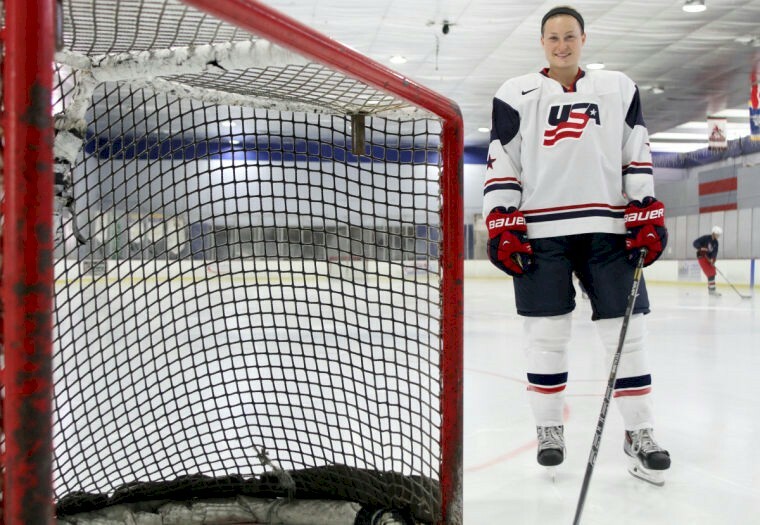 2013 was a banner year for Lyndsey, as she helped Team USA to a bronze medal at the Four Nations Cup and a gold medal at the 2013 World Championships. Lyndsey decided to take a year off from college to focus on preparing for the Olympics squad. She was called to camp, where the competition for coveted Olympic roster spots was strong. Shortly before Christmas, 2013, she learned that she'd made the team. She kept the news to herself until arriving back in Arizona for the holidays, where she surprised her family with the good news. Team USA got a tough draw at Sochi, placed in a group with perenial powerhouses Canada, Finland, and Switzerland. The Americans beat Finland in Game 1, 3-1. In Game 2, they put up 9 goals and shut out Switzerland. Game 3 had the potential to be a gold medal game preview, featuring Team USA against Canada. Canada narrowly defeated the Americans by a score of 3-2, in a game that would prove meaningless as both teams had already clinched spots in the tournament semifinals. Team USA blew out Sweden, 6-1, and Canada defeated Switzerland, setting up the much anticipated gold medal showdown between the North American rivals. The gold medal game was an instant classic. The intense affair saw Team USA ahead 2-0 in the third period. They clung to the lead, and with just minutes to go it looked like Team USA would bring home the gold. Then, Canada struck, cutting the lead in half. Nonetheless, all Team USA had to do was hold on for the final 3:30, and the gold medal would be theirs. With a minute and a half to go, Canada pulled their goal keeper, adding an extra offensive player. And with under a minute to play, they scored the equalizer. The game headed to overtime, but the momentum was all on Canada's side of the ice, and 8 minutes into overtime they scored the winning goal. Team USA took home the silver, but won many fans across the country for their gritty, intense play. Lyndsey played in all 5 games of the tournament, including the decisive gold medal game, finishing with a +1 +/- rating. 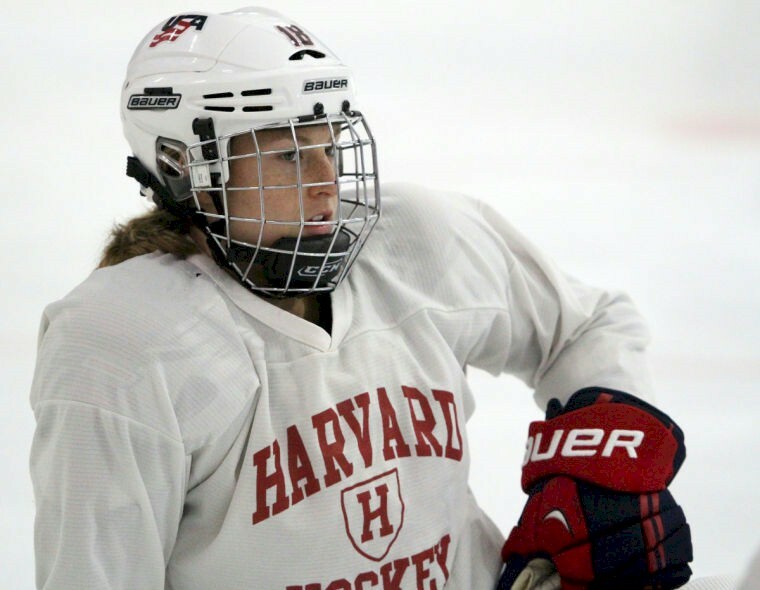 After the Olympics, Lyndsey returned to Harvard for her senior season. She led the team to the Frozen Four, and, ultimately, the NCAA Championship game, where they lost to heavily favored Minnesota. Shortly after the Frozen Four, Lyndsey announced her retirement from competitive hockey.